Welcome to the first annual Hen House Hop! Here's where chicken keepers get to share your best photos, stories, recipes, tips and most memorable moments about keeping chickens. If you're still on the chicken keeping fence, I'll just bet by the end of this hop, you'll be ready to hook up with the rest of us on our chicken keeping adventures! Here we go! This is a tell all Hen Party girls! These guidelines are just to get your story tellin' juices going; tell all you want to about your Chicken Keeping adventures! 1.Write a story about how you got started keeping chicken's. 2. Introduce us to all of your " girls " and tell us what breed they are and why you like them. 3. Do you have a favorite chicken in your flock? How many do you keep? Who rules the roost? Have you inspired others to keep chicken's? 4. 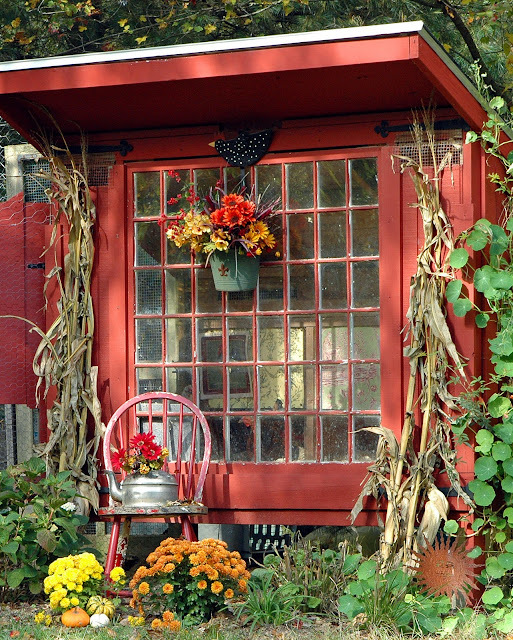 Show us lots and lots of pictures of your Hen House, ( and girls ) inside and out ( through all seasons ) and tell us how it was made or where you bought it. 5.We also want to know if you spoil your " girls " and how! 6. We'll get hungry on the hop, so bring your favorite egg dish and share the recipe if you like. Let's get cluckin' and scratchin'! Our backyard chicken adventures began six years or so ago when our daughter ( then 8 ) fell in love with a batch of baby chicks at a friends house and the rest is history. 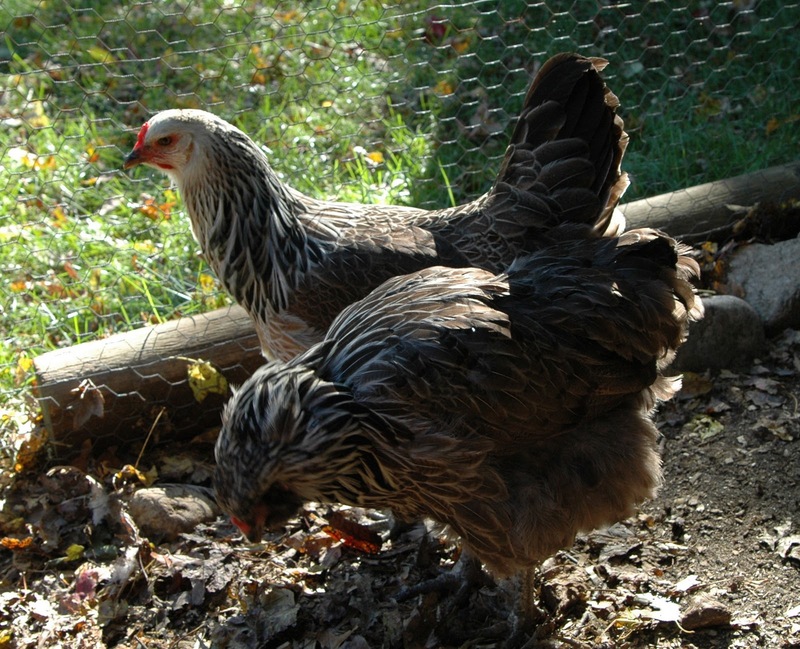 We knew nothing about keeping chickens when we started out, but in true homeschooling fashion we followed the " chicken " rabbit trail all the way to the library, Internet, and eventually to our local feed store where we placed an order for eight laying hens! From there we researched the many options for Hen Houses. It was my talented husbands idea to create one from scratch using left over materials and a re-claimed window. He did a wonderful job making a safe and comfortable home for our girls and I've had more fun fixin' it up inside and out! I love gardening so it's been a wonderful creative outlet for me to plan and plant around the Hen House making it look and feel as if it's always been there. 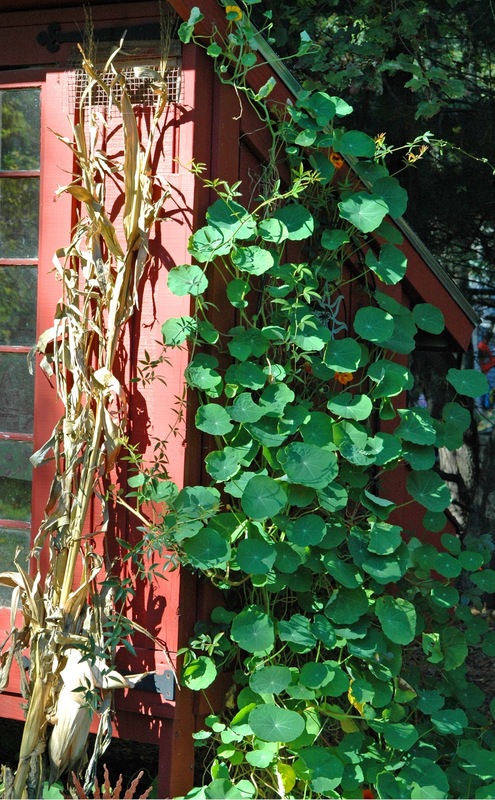 I love watching the garden grow up around it and changing the decorating scheme as the seasons change. The photo above was taken just after my husband finished building the Hen House for The Cottage Hens.We tucked it into the rear of the yard near the shed for easy access to tools and so the girls could have a run with at least one side shielded from the weather. I painted it a soft yellow with green trim and then painted our small shed to match. 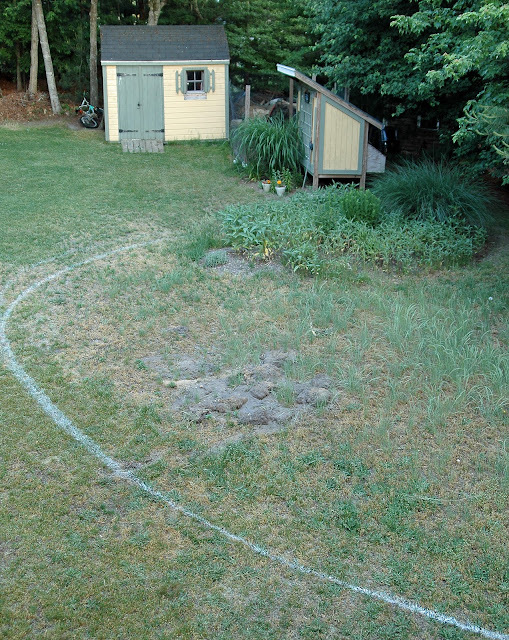 The white paint line in the grass outlines what is now our bird and butterfly garden. At the time, I was just thrilled to have proper housing for the girls. I thought it was " farmy " enough but I was out shopping one day and noticed a shed painted Barn Red! You know what I did next don't you! We wanted to experiment with several different breeds so we took the " chicken mans " advice from the feed store ( he raises them ) and ordered two Americaunas, two Buff Orpingtons, two Rhode Island Reds, two Barred Rocks, and two Golden Laced Wyandottes. We still have three of the original eight left and this past spring we added 10 more to the mix. Some of you will recall that two of them ended up being Roosters. So far, the Americaunas and Wyandottes have proven to be very hardy and they are consistent layers. The key factor being that can they stand the long cold winters here in New England. They stay nice and snug inside during the coldest parts of winter. They don't like snow in their run. 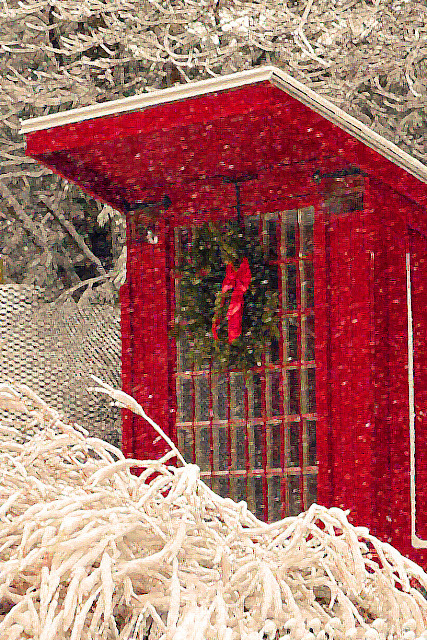 So, we shovel them out right along with the driveway and the sidewalk after snowstorms! Corgis get along great with chickens. As you can see, all Max cares about when he's in the run is what he can eat! Let me introduce you to " our girls " The Cottage Hens. Lacy Lou rules the roost! She also knows her name and comes running when called! I admit, she is my favorite from our first flock. Shhhh don't tell the other girls! I don't want to ruffle any feathers! Stevie the REBEL CHICK and first chicken to have her wings clipped! Keeping backyard chickens has been such a fun and rewarding experience. Once you have your set up ready and your chicks out of the heat lamp stage they are easy keepers. All they really need to survive is a clean coop, room to run, fresh food and water daily. But if you want your girls to be a part of your family they make wonderful pets and are great company in the garden too!We feed our girls organic egg layer pellets and spoil them with plenty of fresh kitchen scraps and affection. I love my daily visits with " the girls" they always have a story to tell. Like this one! Chickens give us so much more just fresh eggs. They inspire creativity and are often the gateway to delving deeper into a rich and satisfying homesteading lifestyle. They give us food for our garden's, hours upon hours of good, clean family entertainment and yes, LOVE! We can't wait to meet your flock and learn about your adventures with chickens too! This Linky party will be open until December 21st! Let's see how many entries we can get! Please grab the Hen House Hop BUTTON from my sidebar, add it to your side bar then link it to this post so we can share this Hen House Hop with more chicken loving bloggers! Or simply grab the code below where it says Get the Code here at the bottom of the entries and paste it into your post! Check out more great coops at Tilly's Nest Share your Coop tour! Voices whisper in the trees, "Tonight Shadows of a thousand years rise again unseen,Voices whisper in the trees, "Tonight is Halloween!" Thanks for looking everyone. See you next Saturday! 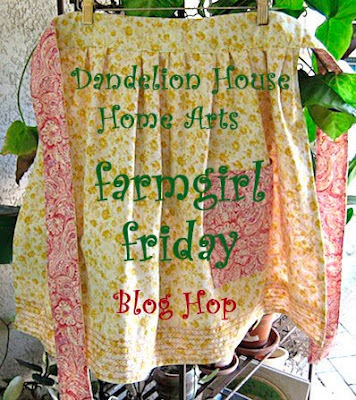 Hello friends and welcome to the week 30 of the farmgirl Friday blog hop! Time to link up once again for your weekly dose of farmgirl soul food! 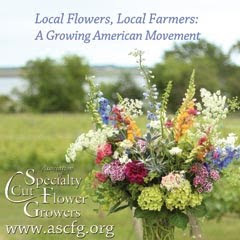 Thanks so much for all you talented farmgirls share each week! I'm so grateful for this wonderful community of bloggers who meet here each week to visit each others homesteads and backyard farms! Meet back here Tuesday November 1st for the first annual Hen House Hop ! Howdy Dandelion House Friends! Mother hen has been busy gussying up the Little Red Hen House for Fall. 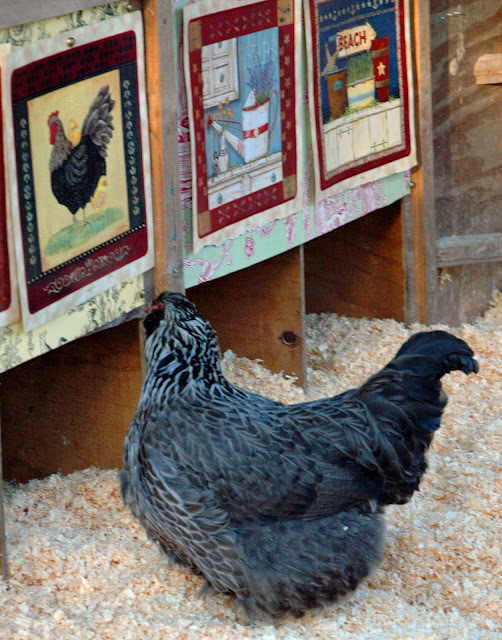 We love it when she comes out to our place and putters around!We chat and cluck and before you know it we've come up with a fun idea or two to share with you, like the time we talked her into decorating the inside of our Hen House. This time we got to thinking it would be great fun to have an old fashioned virtual " Hen Party"! That's right! Party day is Tuesday, November 1st! This is a tell all Hen Party party! These guidelines are just to get your story tellin' juices going; tell all you want to about your Chicken Keeping adventures! 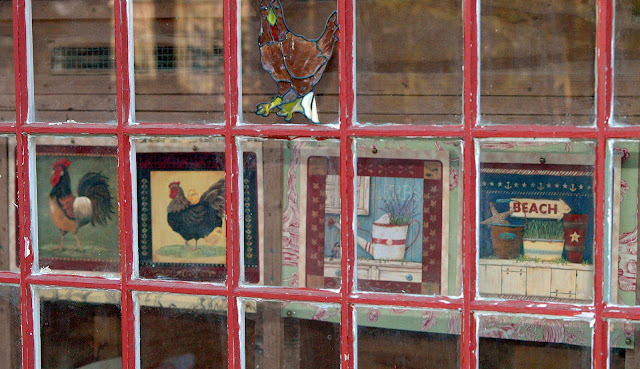 If you've been dreamin' of keeping chickens share your ideas for your future coop and the kinds of hens you wish to keep! 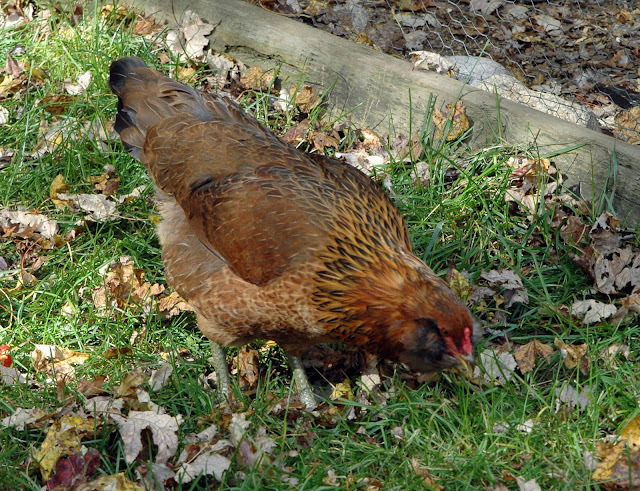 3.Do you have a favorite chicken in your flock? How many do you keep? Who rules the roost? Have you inspired others to keep chicken's? 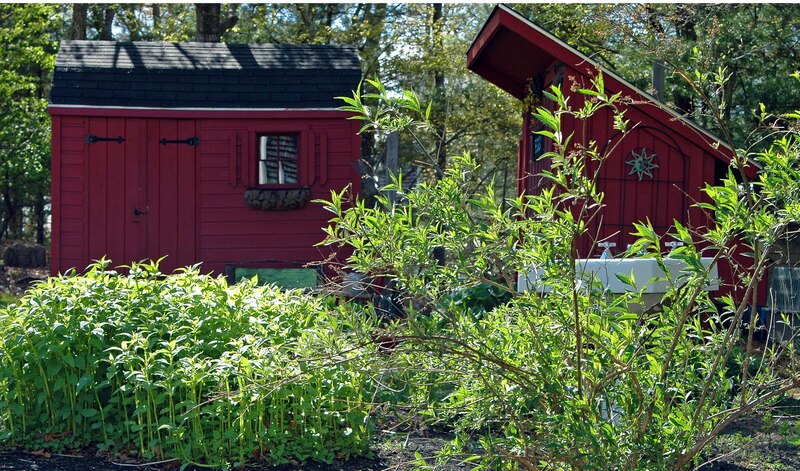 4.Show us lots and lots of pictures of your Hen House, ( and girls ) inside and out ( through all seasons ) and tell us how it was made or where you bought it. 6.We'll get hungry on the hop, so bring your favorite egg dish and share the recipe if you like. Grab the HEN HOP BUTTON, add it to your side bar then link it to this post! Write a brief post between now and party day and invite your blogging, face book and twitter friends too! It's going to be great fun! We can't wait to see all of your Hen House Designs and meet your " girls "! I'm headed over to Amy's Barn Hop to share the invitation! Thanks for looking and for your comments! I appreciate and enjoy each one. Welcome to Farmgirl Friday blog hop # 29 ! How are things going on your homesteads this week? Are you having beautiful Indian Summer weather or a mix? We've had some rain mixed with warm, sunny days too. The leaves are beginning to turn along the southern shores of New England and you can bet I'll be out with my camera snapping away so I can share some of our world famous fall beauty with my blogging friends! Can you believe my nasturtiums are still climbing up the side of the Little Red Hen House? I haven't put my gardens to bed ( completely) for the winter yet, but I have spread a light layer of good, aged compost straight out of the chicken run on to some of my newer plantings. I continue to give shrubs a long, deep drink of water once a week which I will keep up until the first frost. The girls have been enjoying the warm days of Indian Summer too! I happened to catch them all in the " tub " one day basking in the dirt! Aren't they sweet? I've also been busy inside puttering getting our nest ready for cooler, darker days ahead. We've added some new lighting in our hallways and a few of our rooms to keep our spirits high and our home bright. I've also been putting the finishing touches on our son's bedroom make- over and our recent kitchen remodel! I love the feeling of comfort that comes with settling in and preparing for the next season don't you? Stay tuned for more posts from " inside Dandelion House! This might be the season for putting our gardens to bed, but I'm planting some new dream seeds for next year and I'm excited to share them with you soon! Now, let's see what you've all been up too! It's time to link up for your weekly dose of Farmgirl Soulfood! A big thank you to all of you who share such wonderful projects, recipes, farming and homesteading/making wisdom each week! And, as always, welcome new friends and subscribers! Don't forget to leave a note on the hen house door on the way out! I'll see you on the hop and at MJF Beach Farmgirl Blog! Come check out my Fall Fodder post! Tis the season for delicious smells of baking pumpkin pies, torts and fruit cobblers wafting through our homes and what better way to dive into seasonal baking than with the right tools to make your work easier in the kitchen. 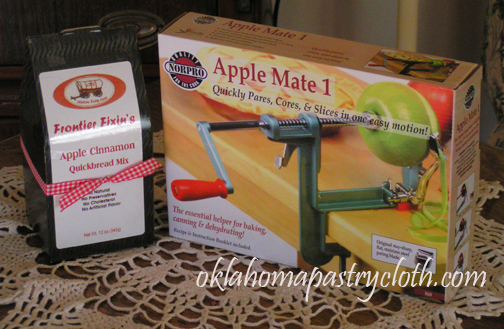 Today I'd like to introduce you to farmgirl Mary Beth of the original Oklahoma Pastry Cloth. 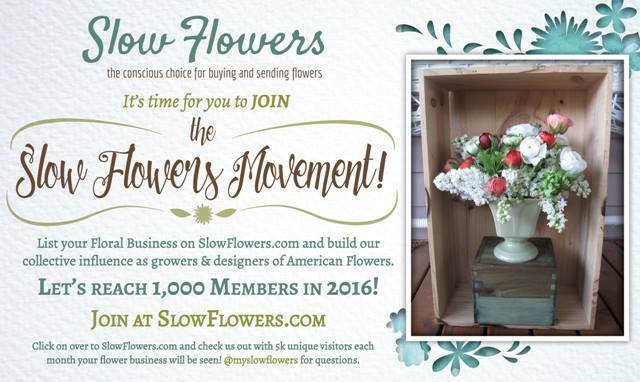 Her business is new and enjoying growing pangs thanks to word of mouth about her wonderful down home products. In addition to her signature Pastry Cloth she also sells soup and gravy mixes, bread, cookies and scone mixes too! 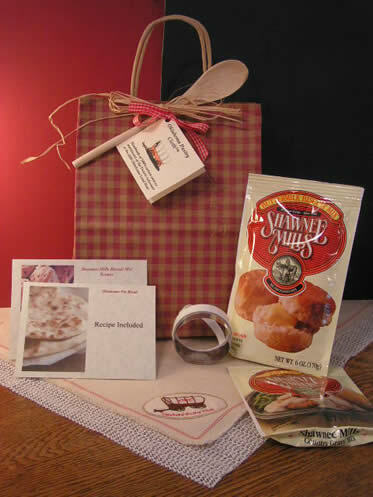 She also offers beautifully packaged gift sets ready for any baking occasion. Mary Beth is entry # 31 in this weeks Farmgirl Friday Blog hop and she's offering a fun and useful give away! 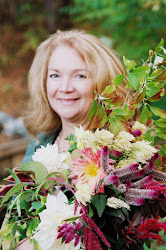 Go visit Mary Beth to learn more about the history behind her unique farmgirl enterprise and enter her fabulous give away! Cooks everywhere are rediscovering the joy of getting back to the basics of home kitchen creations. Whether for healthier meals or simply to enjoy the tactile experience of hands kneading soft doughs, baking has taken on a revived personal touch. The Oklahoma Pastry Cloth™ takes your baking to a new level of ease, offering quick and easy cleanup and a nonstick work surface that will make you wonder how you ever baked without the Oklahoma Pastry Cloth™. Farmgirl Friday blog hop # 27 and a WINNER! Fall is Everywhere in New England!